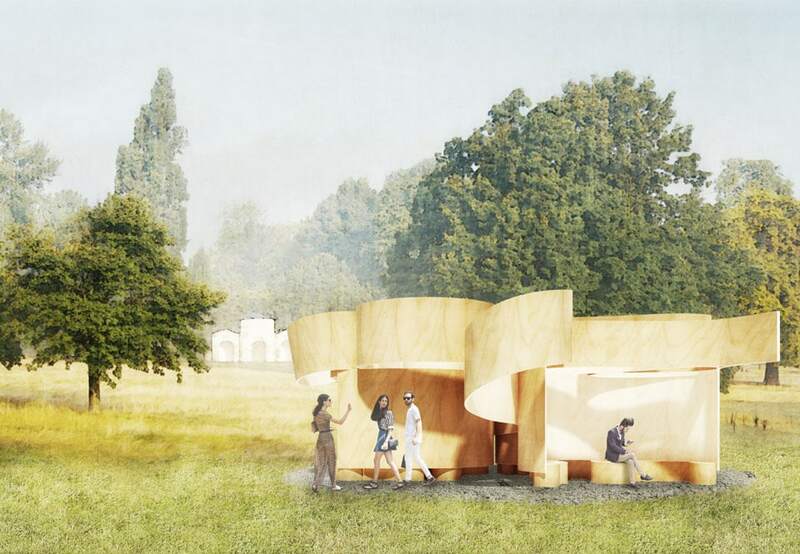 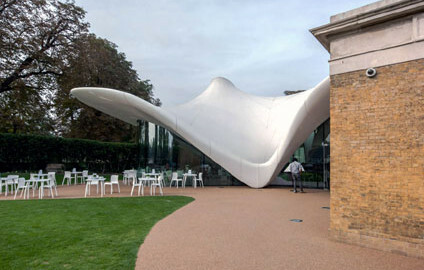 All the little houses, which the Serpentine Galleries have commissioned to four international architects for their Summer program of architecture, were inspired by the Queen Caroline’s Temple which stands in the middle of Kensington Gardens in London. 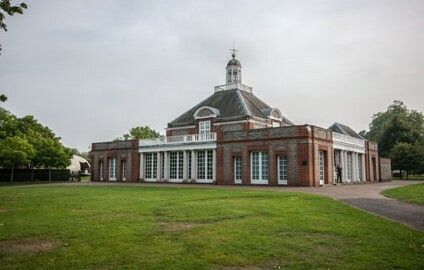 Yet, each architectural team has developed a personal reinterpretation of the building designed by William Kent in the early 18th century. 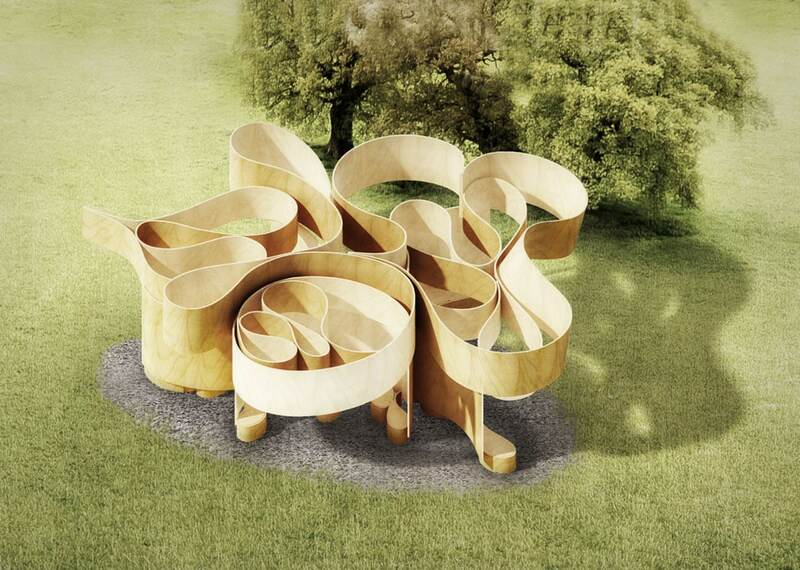 Rather than taking inspiration from the Temple’s architectural morphology, Frank Barkow and Regine Leibinger decided to work on the visual and functional role of the Temple within the park; more specifically, they investigated the function of a second pavilion, demolished long time ago, which Kent conceived as a rotating panoramic platform positioned on a small artificial hill at short distance from the Queen Caroline’s building. 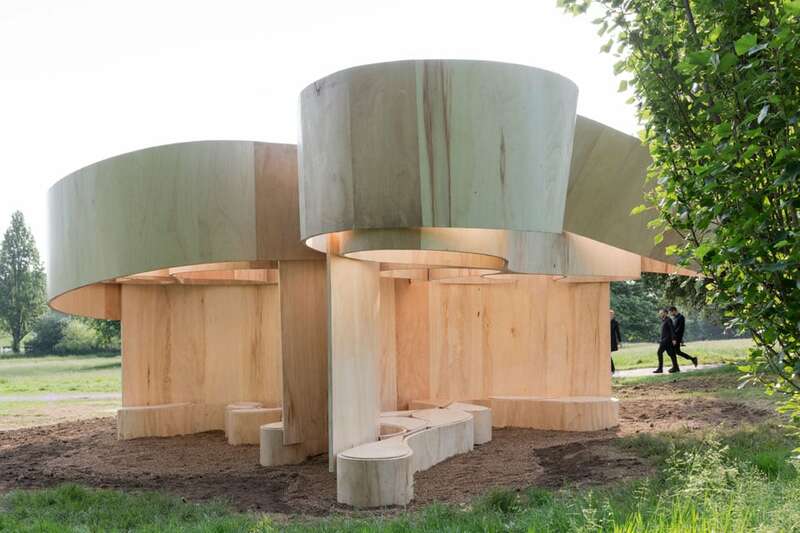 Therefore, continuing their research on architectural materials and forms, Barkow Leibinger designed a round-shaped open house, without a front and a back, which somehow resuscitates the original function of the disappeared pavilion and its spatial relationship with the Temple nearby. 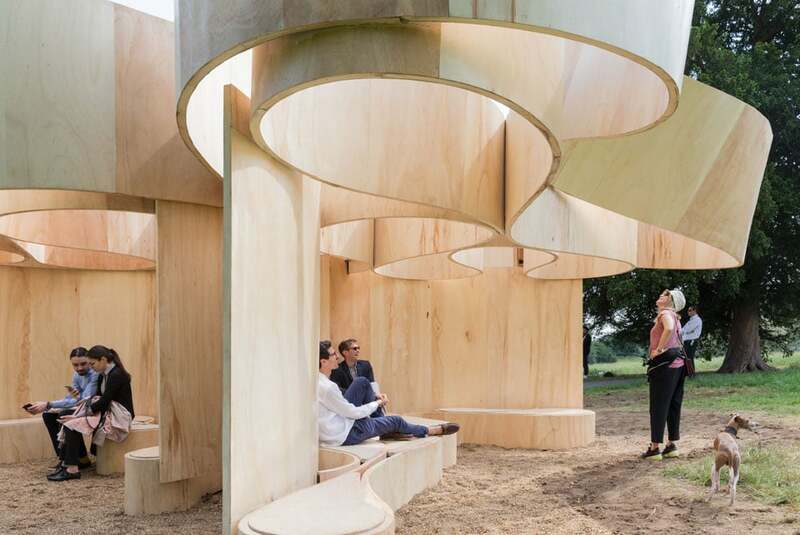 The construction is made of a series of large plywood strips, arranged in loops which resemble those of the so-called “blind contour drawings” (namely, a drawing exercise made without lifting the pencil from the paper and without looking at the sheet ), creating a continuous structure which doesn’t have exactly defined inside and outside: a little poetic house where to relax and from which to survey the surroundings. 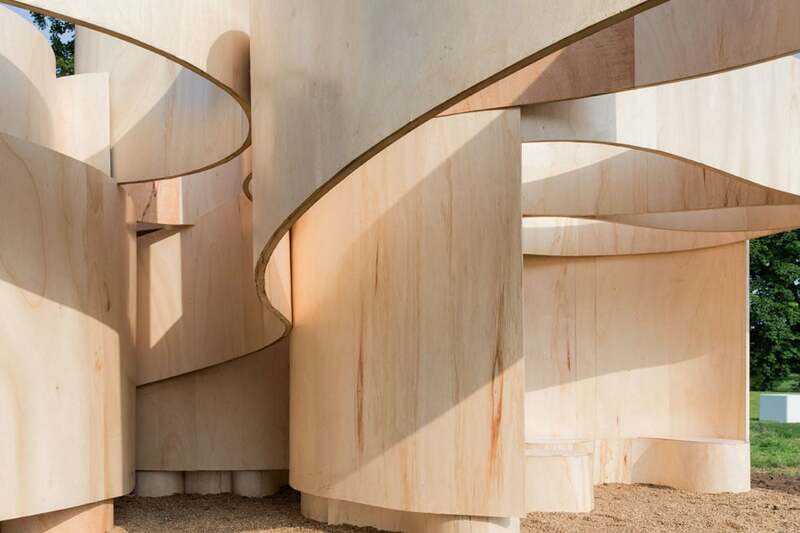 Barkow Leibinger is an architectural practice, based in Berlin and New York, founded in 1993 by American architect Frank Barkow and German one Regine Leibinger. 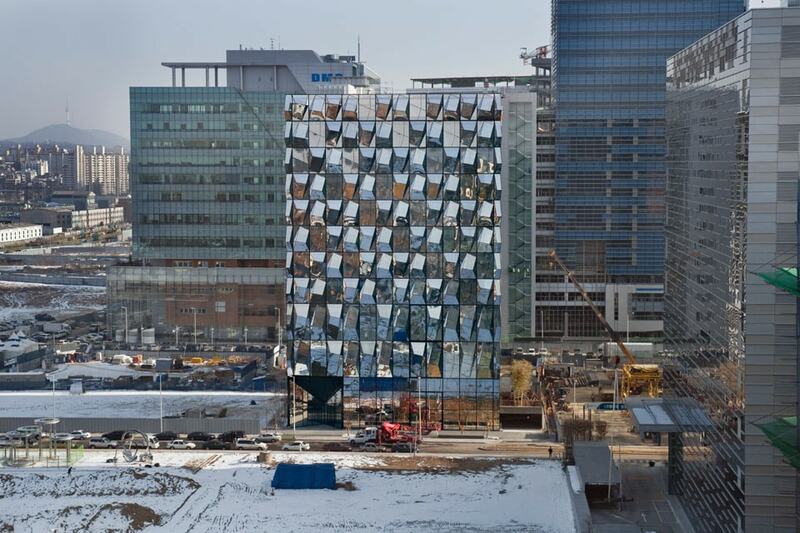 Their approach is focused on investigating innovative applications and manufacturing techniques related to building materials, using them as means to combine a rigorous architectural language with the adoption of advanced technologies in both design and construction processes.